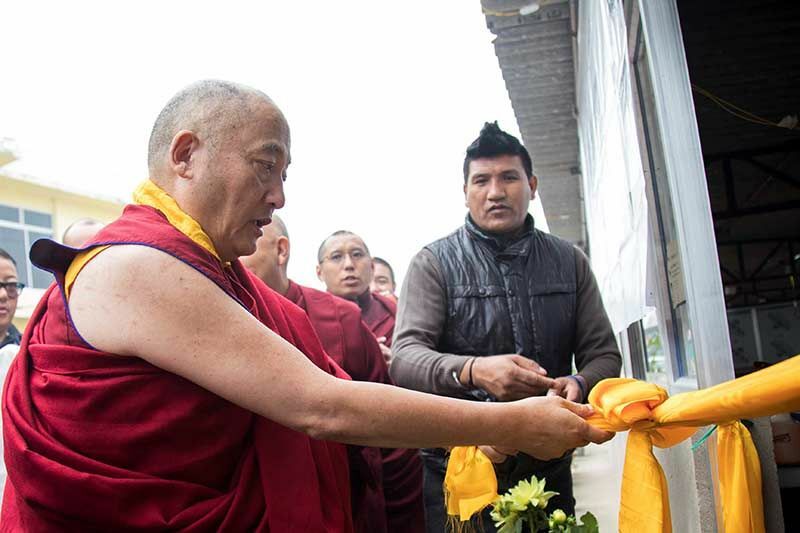 On the second day of the 34th Kagyu Monlam, the Gyalwang Karmapa blessed the opening of the Akong Tulku Memorial Soup Kitchen, which this year will operate for five days from the 14th to 18th of February. For many years the soup kitchen has offered nutritious hot food to the people of Bodhgaya and surrounding villages. This forms an ideal partnership with the Kagyu Monlam Medical Camp as the two organisations continue to work together to fulfill the Gyalwang Karmapa’s aspirations for a world where everyone is valued and cared for equally: putting non-partisan compassion into practical action. 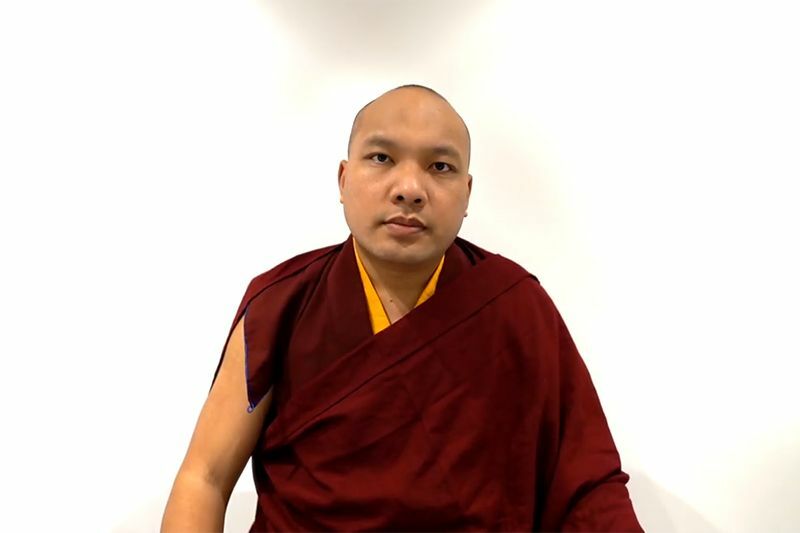 The idea for offering to run a soup kitchen at the Kagyu Monlam came about twelve years ago, when a group of Akong Tulku Rinpoche’s students from Samye Ling Monastery in Scotland came to the Kagyu Monlam for the first time. 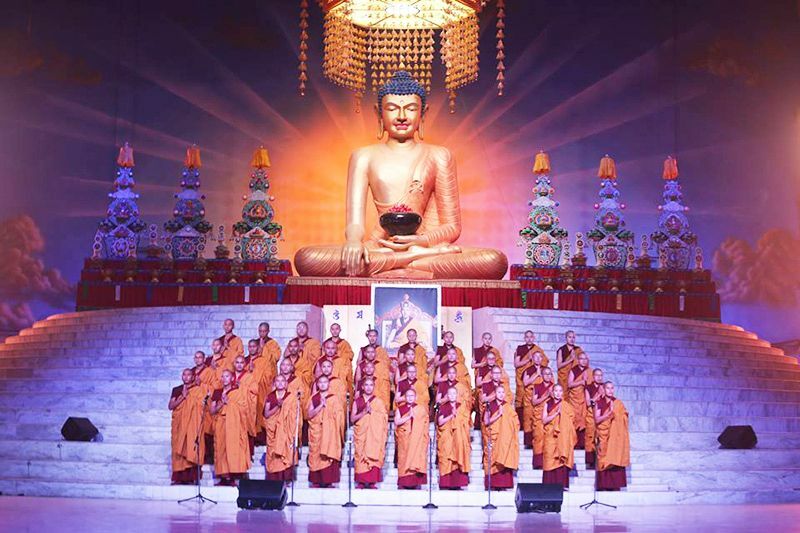 Touched by the extent of suffering they witnessed in India, they asked themselves: “What would Rinpoche do if he were here?” As a great humanitarian, Akong Rinpoche was renowned for his way of direct activity rather than just talking and so his students tried their best to follow his example. Once more the Soup Kitchen is situated at the All India Bikkhu Sangha and Shakya Muni College, which kindly offers their garden and a cooking space for the soup kitchen each year. It is just across the road from the Tourist Bungalow facilities where the Medical Camp is located and so when the local people have received their medical treatment they are then able to sit together and enjoy their lunch of rice, dahl, vegetables and fruit which we serve to hundreds of people each day. The Gyalwang Karmapa’s vast vision and sense of purpose for the Kagyu Monlam is clear for all to see but his sense of care and attention to details is equally inspiring. When visiting the soup kitchen, he genuinely took the time to find out what was happening and to encourage his followers in their efforts. Bikkhu Pragya Deep, the leader of the All India Bikkhu Sangha was present to welcome the Gyalwang Karmapa and His Holiness offered a khata and prayers at their shrine. 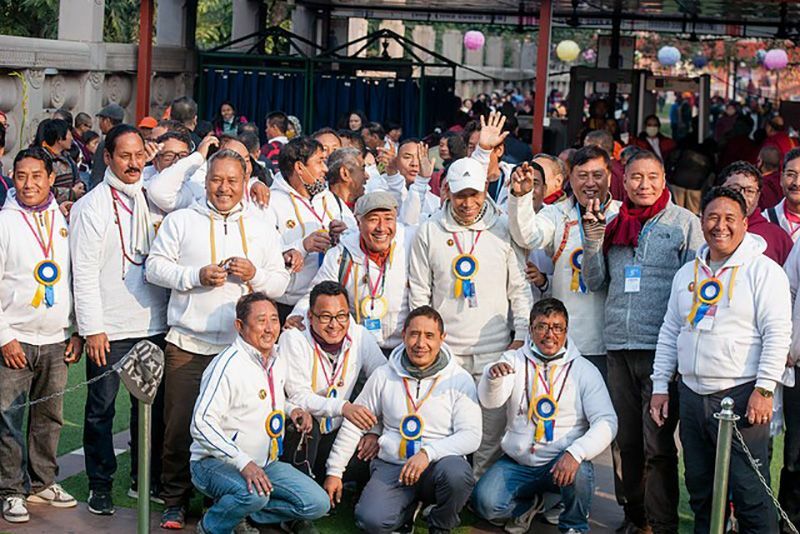 This year, the Akong Tulku Memorial Soup Kitchen has sponsored a solar-powered hot water system for the comfort and convenience of the Bikkhus and the many pilgrims who visit them in Bodhgaya. 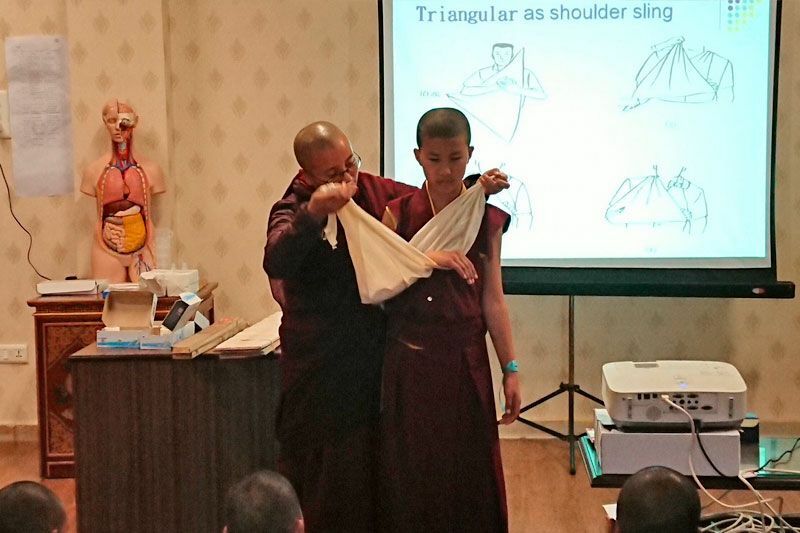 From the first day, cooks from Tergar Monastery, volunteers from Kagyu Samye Ling and Kagyu Samye Dzong in the U.K., and volunteers from the Kagyu Monlam Chenmo have been working in harmony to bring benefit to local people. This has been made possible by the continued support of Lama Chodrak for the project along with the management skills of Lama Tenzin and Lhakpa Tsering. It brings great happiness to both those who give and to those who receive as we all do our best to help bring to life the compassionate aspirations of the Gyalwang Karmapa and all Kagyu Lineage Holders.